I am writing a research paper for school, it must be about 20 pages long and is baout the topic "Social Criticism in David Copperfield by Charles Dickens". I'd like to know if anyone has got any resources about that topic or can tell me where to find any. I do NOT want a finished research paper, only a hint at where on the net I could inquire further about this topic or if there are perhaps any books that might be helpful. P.S. Perhaps anyone of you has written himself about that topic! Open your path through the novel, and when you will have formed some ideas, start searching for articles, essays and books, if you need to and if you still have the time to do it. Thanks a lot so far. This seems to be great help, though I have already thought about the novel itself and there are many ideas on my mind, many among those you mentioned. Do you think I should take the different protagonists and anaylise what is criticised thorugh them, so for example :Steerforth and the Peggoties- A class conflict. I'd like to hear your opinion about it. I'd choose what would inspire me more. Sometimes you must work on something before you understand that it is something other that inspires you. Try one way and you can jump to the other any time. Keep as your only measure interest and inspiration - if you feel bored, stop and think of alternatives, or an alternative way of working the same subject. Does that help a little? Maybe you can just start from somewhere and keep discussing with us problems of your work. Hi Sebastian. Here is something not exactly on your subject, but sometimes very close to it and in general very useful. David Daiches, The Victorian Novel: Charles Dickens' World. I hope you'll enjoy it! HI guys, my research paper is about to be finsihed. But there is one more thing, I'd need: is there anywhere an overview over Uriah Heep, his plans, motives and intentions and how he wants to make them come true! I could pick all that together from the novel, but if I had a compact overview, it'd make my work a LOT easier. Hi Sebastian, see this page for Uriah Heep, it isn't exactly what you want, but it will help you. I received the results of my term paper, I had been working on since last May. I got 15 out of 15, which makes 30 points, when it is doubled, the most possible! So I am really happy and I wanted to thank everyone on this site who helped and supported me. Wow, i am so proud of you that you succesfully obtain full marks for your assignment. Congratulations. 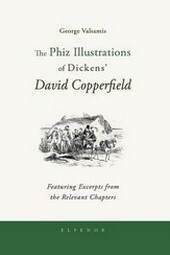 The reason i sign up for this community is simply because i just finish reading David Copperfield and it really fascinated me and makes me eager to want to know about this particular author. So i was surfing and saw this column. I find that Charles Dickens is a man with words and could relate into a lot of personal issues, especially deep issues in the heart. By just the words that he used to describe ache, confusion, disdain, bitter, jealousy..etc it sounds so real. There was this one question that i was thingking as well, and trying to figure it out using my own words that what if David marries Agnes instead of child-like Dora.David says that he understand he had loved Agnes and needs Agnes' love for the rest of his life after Dora's death. He admits that Dora and he were young and was thingking whether it was a mistake.He was eager to find out whether Agnes could love him more than as a sister which is true and it has been her great secret. As if what Dickens tried to potray here is that he believes what the world are saying right now that "If you love someone let he/she go for if it's meant to be he/she will come back to you ". Agnes, maybe she is not someone that David had love in the first-sight but she is wise, sensible and matured. She cried when David asked her whom she truly love and she always have filled David with encouragement and hope to find his direction or purpose of life. This is just my comments. What do you think? I didn't think this thread still existed! A few minutes ago, I suddenly had a mind to go and look for it...and there you go. It's still around! I clearly remember writing that paper almost eight years ago...I still have it here on my computer! It shows you how time flies. I finished school a year after writing this paper in 2002, then went on to University to study medicine and become a doctor...and now we live in 2008 and I will soon finish University and go on to become a Radiologist! I dunno, if anyone reads this, but hey, it's cool to still be around! ((Soo.. Dickens is my teacher's favorite writer!!)) HEEELLP!! You'll find enough hints to make a start. Hi Rachid, you are very welcome!